Are you looking for a new pool fence in or near Duncraig? Are you looking for a friendly contractor who can supply and install your new fence with the minimum amount of fuss? If so, then you’ve come to the right place. 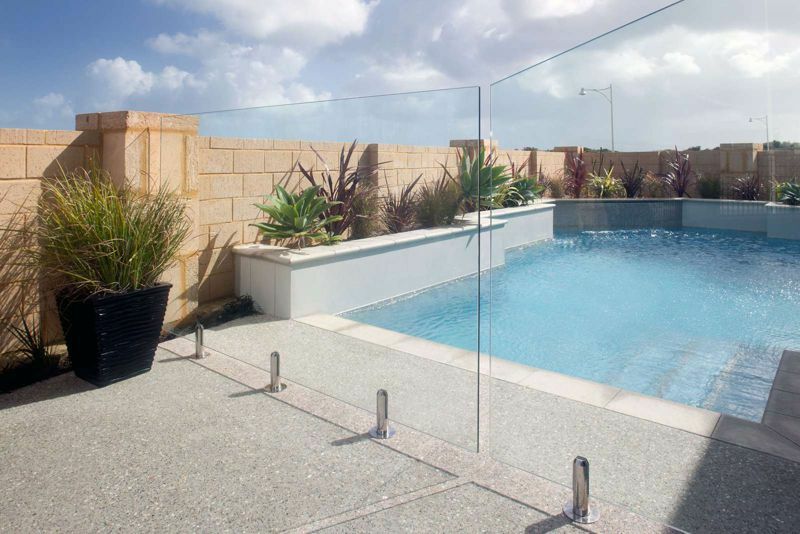 Clear-Az-Glass Fencing is your local expert when it comes to the supply and construction of glass pool fences and balustrades in Duncraig. Australian pool fencing laws are very strict, which means that you need to make sure that you’re following them to avoid penalties from your local authorities. Our team is familiar with the local Western Australian laws and regulations, allowing us to help you make sure that you’re pool fence is built right the first time. It’s important for you to understand that any glass used for building purposes anywhere in Australia has to meet the relevant Australian Standards. Every single one of our glass pool fencing and balustrade products complies with these standards, which means that you can be confident in the ability of your fence to stand up to the test of time. Pool fences must also meet a range of technical parameters relating to their height, placement and design. Our fences all meet these requirements, and we can help you plan the placement of your fence to make sure that you’re doing things right. At Clear-As-Glass Fencing we understand that it can sometimes be hard to decide exactly what sort of fence you want without the right information. Our focus is on customer service and making sure that you get exactly what you want, which is why we offer an obligation free measure and quote service. This allows you to get an estimate of the cost of your new pool fence or balustrade, informing any decisions that you need to make. There are a lot of poorly trained contractors out there who will do anything to make a quick dollar. Unfortunately, these contractors don’t usually take pride in their work, which means that the quality is often poor. We understand that a bit of confidence can work wonders for your mental health. For this reason, we are proud to offer a complete 5 year workmanship guarantee on every single one of our services in the Duncraig region. This will allow you to rest easy with the knowledge that your new pool fence or balustrade is strong and secure. If you’d like to find out more about our glass fencing, balustrade design and construction or wood look aluminium screen installation services, then all you need to do is as one of our friendly customer service representatives. Our friendly team is highly trained and will be able to answer any questions that you might have, guiding you through tough decisions and helping you decide whether our products are right for your property.